I've always been fascinated with rock formations; to the untrained eye they are quite mysterious. Over the Easter long weekend, I ventured into the Australian outback and went on a three day tour which saw me explore Alice Springs, Uluru, The Olga's, King's Canyon and the Garden of Eden in the Northern Territory. Part of our King's Canyon hike included the discovery of the 'rock domes' which formed thousands and thousands of years ago. 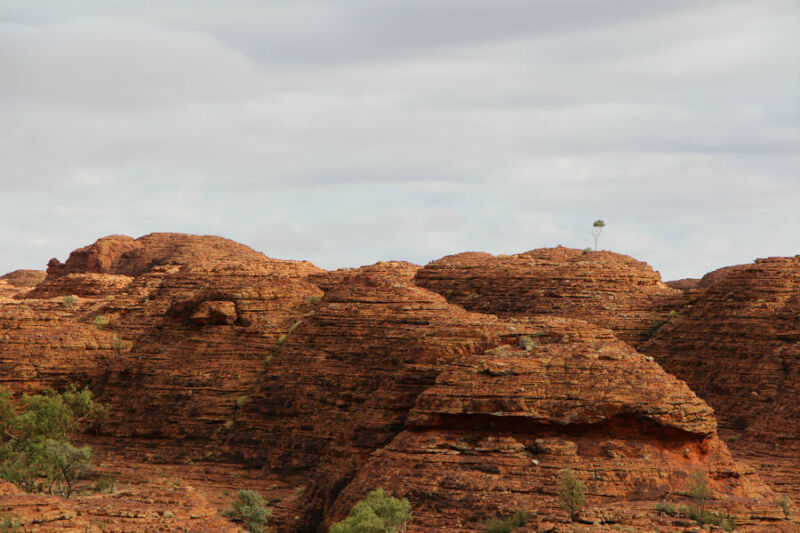 A dramatic series of 36 dome-like rock formations which stand up to 1,700ft high and cover an area of 35km, this part of King's Canyon is simply mind blowing. Producing an incredible light show as the sun rises and sets, the colours bouncing of the rock shimmer before your very own eyes. At this part of the hike, there really was nothing left to do than to sit down on the domes and take it all in. Visual crack for the ocular fiend, defined.